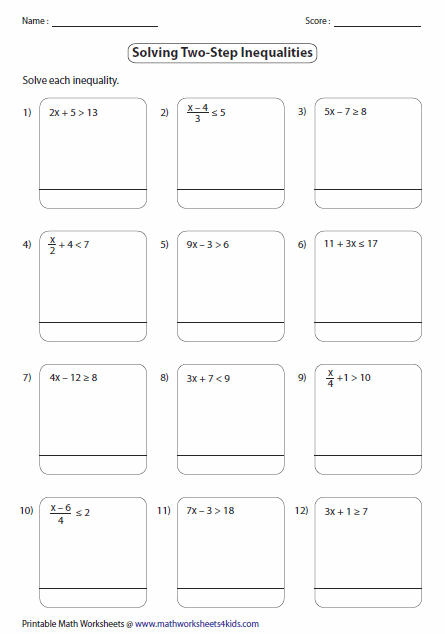 This page contains a lot of two-step inequalities worksheets based on solving and graphing. Easy level has positive integer coefficients with answers only in positive numbers. 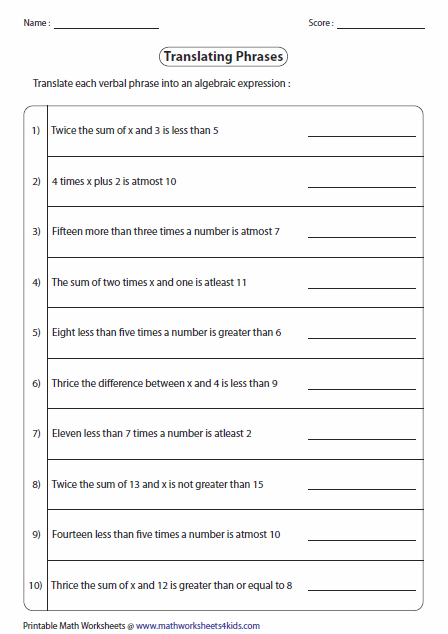 Medium level contains positive coefficients, with variables on any sides and answers in integers. Hard level contains both positive and negative coefficients. This is applicable only for either solving or graphing or both. Two-step inequalities are expressed in verbal phrases. 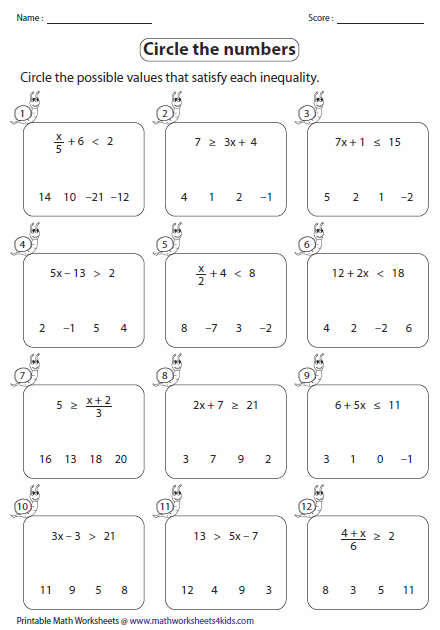 Translate each phrase into an algebraic expression. There are four choices given for each two-step inequality. Circle the solutions that satisfy each inequality. 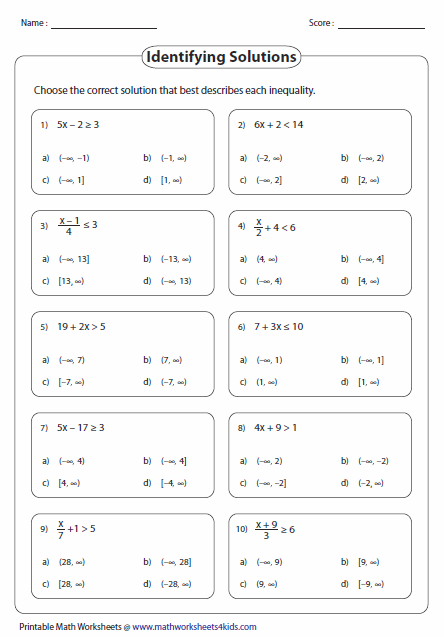 Each worksheet has 12 problems solving two-step inequalities. For each two-step inequality, four choices are given in the interval notation. Identify the solutions that best suits each problem. 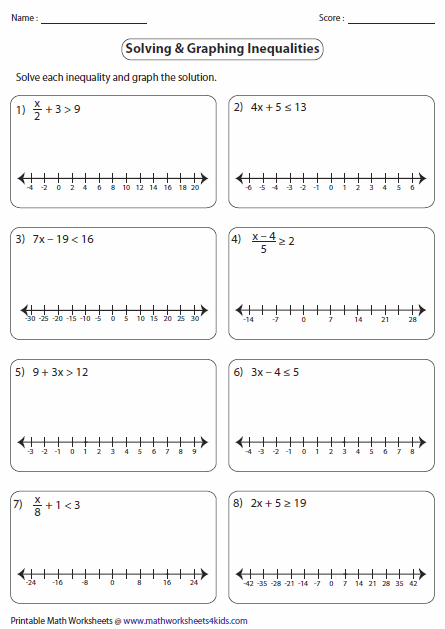 Each worksheet has two skills, solving two-step inequalities and graphing the solutions on the number lines. 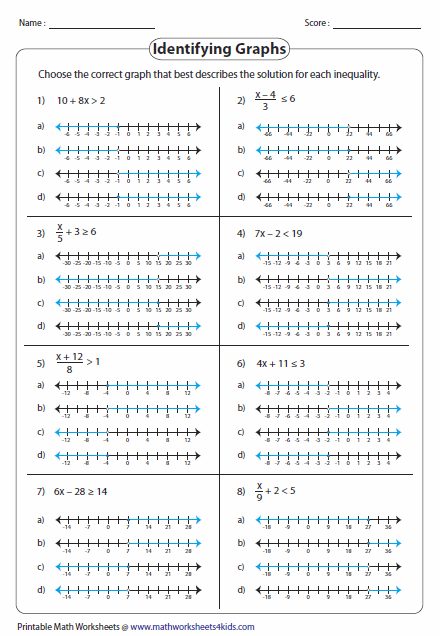 Identify the correct solution graph for each two-step inequality. 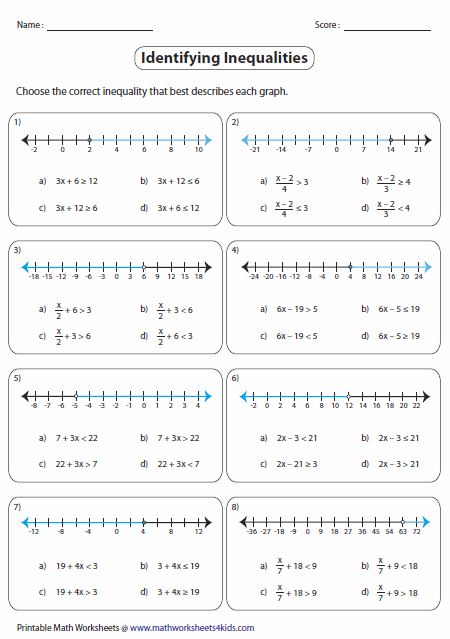 Solve each inequality from the choices and identify the one that has the solution graph.